With the droughts we’ve been in, in recent years, it doesn’t make a lot of sense to rely on a wood burning fire pit for much of the summer. 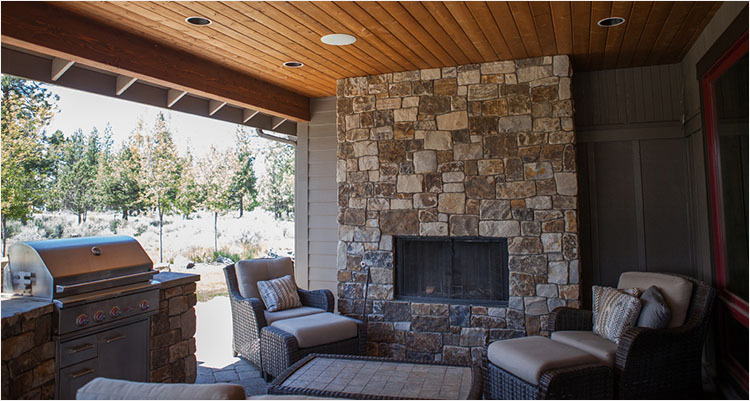 However, if you go natural gas or propane – you can use the fire pit, year round with no maintenance involved. No wood splitting, no mess, no smoke smell – just a nice place to enjoy the evening with friends! We’re not saying there’s not a place for a wood burning fire, that’s what we have but we don’t get to use it for much of the summer out of safety concerns. 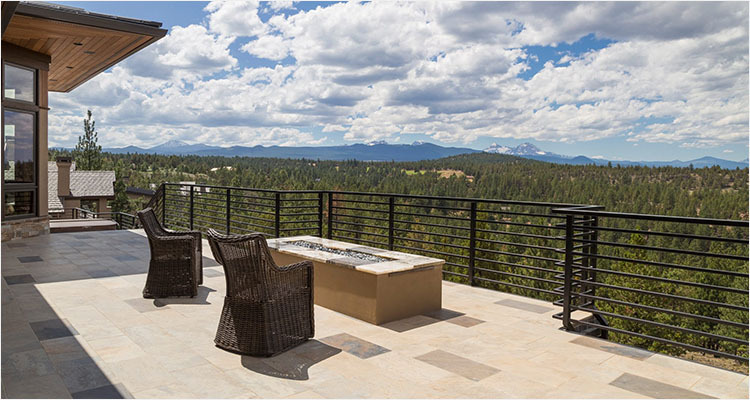 The design of your fire pit or fireplace can be just as customized as any part of your home. 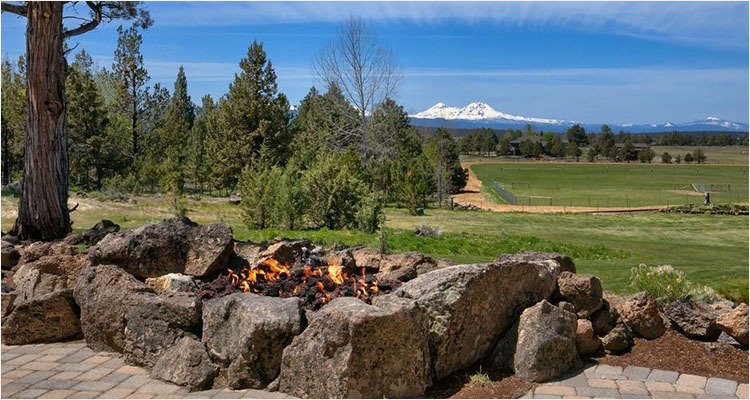 We’ve used native lichen crusted boulders to make a fire circle, concrete finish, mason blocks faced with stone, pre-purchased pits on a really special patio spot – the options are endless. One of the things we like to customize is the size, you want to be able to sit comfortably around your pit with a certain number of guests and have space to move around….but be able to squeeze in more for the big parties and just get cozy. How about the height? Do you want to put your feet up on it like you do around the campfire, do you want to be able to set a glass of wine on it, do you want to use it as a dinner table – these are all things we will walk through with you to ensure we design it to meet your goals. Amazing outdoor spaces is our thing! We work really hard to design you a space that brings the outdoors in and the indoors out. We know that’s cliché, but it’s important. The Bend area is a special place, you live here for the quality of life, the outdoor activities, the night skies, the weather, the views. Most of those things can be enhanced with a warm fire in your backyard. Let us know how you would like to use your fire pit and we will help you make it happen! Contact us today so we can show you the difference we will make customizing your new dream home or landscaping project!